MapNav is a Geolocation Engine for Unity3D and a powerful tool to develop map-based mobile apps and games, including 2d/3d object geolocation and GPS navigation. Version 1.2 is now compatible and has been tested with MapQuest Open Services (OpenStreetMaps) and Google Maps. 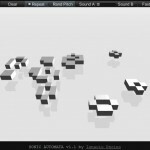 Following the premiere of the generative piece “Singularity” for cellular automata, I am happy to release an interactive demo of the Sonic Automata (spatial concatenative synthesis) which was developed while working on this piece. Please feel free to play with it and make some crunchy noises! One the events of the 20th edition of Festival Punto de Encuentro was celebrated last 9 Nov 2013 in Málaga, Spain. 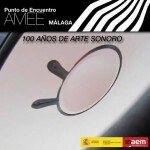 Organised by the Spanish Electrocoustic Music Association (AMEE) and the Conservatorio Superior de Música de Málaga, the event included a conference on Sound Art and a multichannel concert featuring acousmatic, mixed and audiovisual pieces. 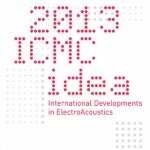 SonicMaps presentation at the International Computer Music Conference 2013 in Perth, Australia. Locativeaudio 2013 is a collaborative project including simultaneous soundwalks, and interactive works exploring geolocative audio and media in the urban context. The following video documents the soundwalk that took place in Málaga, Spain, where the SonicMaps app was successfully tested, featuring poems and electroacustic pieces by 33 local artists. 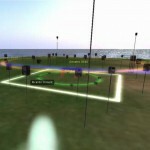 SonicMaps is a Locative Audio (GPS AudioTour) platform and complete solution for sound geolocation. 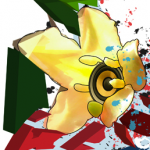 Create an audio guide to a popular place, a located music composition/playlist, audio games, located poetry, or simply send geolocated audio messages to other users. 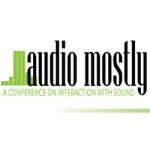 AudioMostly, a conference on interaction with sound, was celebrated in Corfu(Greece) on 26-28 Sept. 2012 in co-operation with the Association for Computing Machinery (ACM).